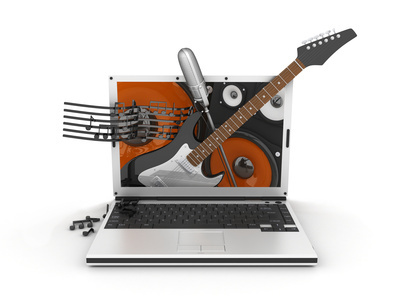 Nowadays affordable computers and great audio hardware make it feasible for anyone to make great recordings. The number of soundcards available for example, is enormous. It is impossible to tell in a few words what you need to start a home recording studio, but in this article I will give some valuable advice to get you started. Forget the standard soundcard that was present when you bought your computer. It lacks the features that are really important for recording. Have a look at some entry-level or more professional audio interfaces. One of the important differences is the quality of the analog-digital conversion. 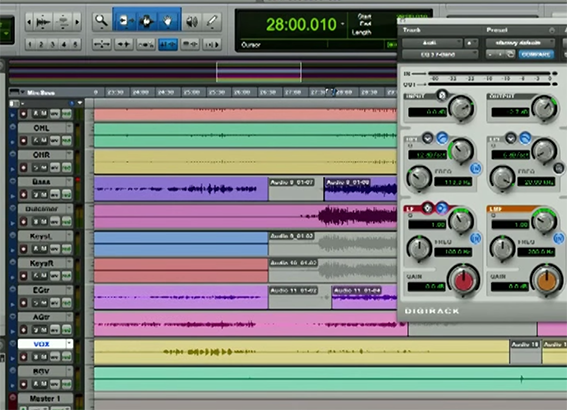 Decide in advance whether you want to record multiple instruments on independent tracks simultaneously. If not, a decent two-channel audio interface may be sufficient. Other things to look at are latency (degree of delay as a consequence of internal processing), bit depth, sampling frequency and the availability of preamps. Whether you want to record your guitar or the signal of a microphone, the sound level will be usually very low if you don’t use a preamplifier. Preamps are built in in some audio-interfaces, in most mixers and, recommended if quality is your primary concern, are available as standalone units. They offer at least a gain knob that allows you to adjust the sound signal level. You will definitely need some software to record the incoming signal to your computers hard drive, to edit wave forms and to mix down your music for burning a cd or distribution on the web. 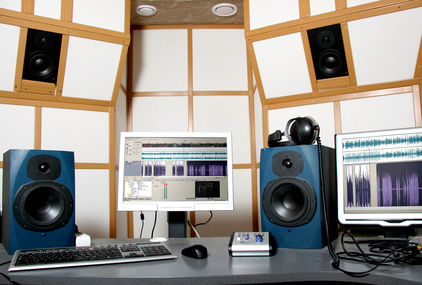 Software can be simple, and sometimes free, but advanced audio sequencing software is generally not cheep. Have a look at Adobe Audition for some simple work, and look for Steinberg Cubase, Logic Audio (on Mac) and Digidesign Protools (Mac and PC) at the higher end. 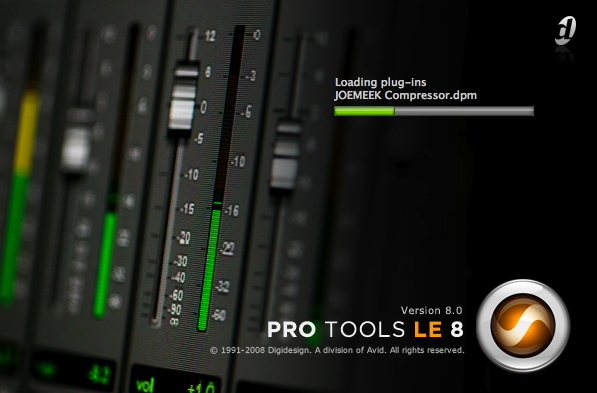 Decide whether you are going to use MIDI or not and whether the availability of a lot of audio effect plugins is important. The more advanced software offers many routing options, automation and an enormous flexibility, however keep in mind that you need time before you can work with it comfortably. Some learning curves are indeed very steep. Having an audio interface and recording software is not enough. 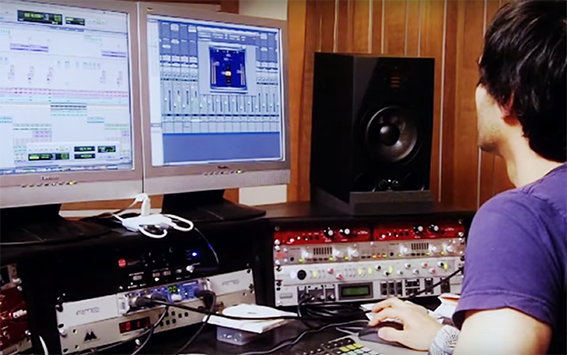 You need to be able to listen to your recordings and judge their quality in a proper way. Therefore you need a set of dedicated speakers, called ‘monitors’. 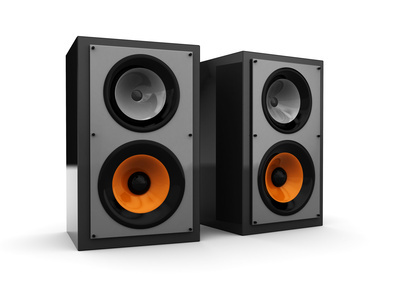 Although some hifi-speakers may do the job for a while, judging sounds is ideally done using a pair of monitors. Once you have these essential elements of the recording cascade, you can start investing in microphones and other gear. Choosing the right microphone is a difficult task, but as a simple rule, it is better to buy one decent microphone than a number of crappy ones. This also applies to preamps. Building a cheap recording studio around your pc is perfectly possible nowadays, but you should carefully consider your needs. Check out each element of the cascade, since the worst component will actually determine your sound. And then the creative process only starts… To find out more on setting up a homerecording studio, you can start looking into various webresources on audio recording, for example http://www.recordingfreaks.com. Edgar Clyne is a recording musician and writes for several homestudio and audio recording websites, including http://www.recordingfreaks.com.